I also voted "No" on both non-binding referendums on the ballot. Below are my explanations as to why I voted the way that I did - independetly of both major parties (please note that the reasoning listed below is not the full reason for my decisions but a compact reasoning). Anyone as corrupt as Rick Scott does not deserve to be anywhere near government. Marco Rubio is backed by the Tea Party. Enough said. 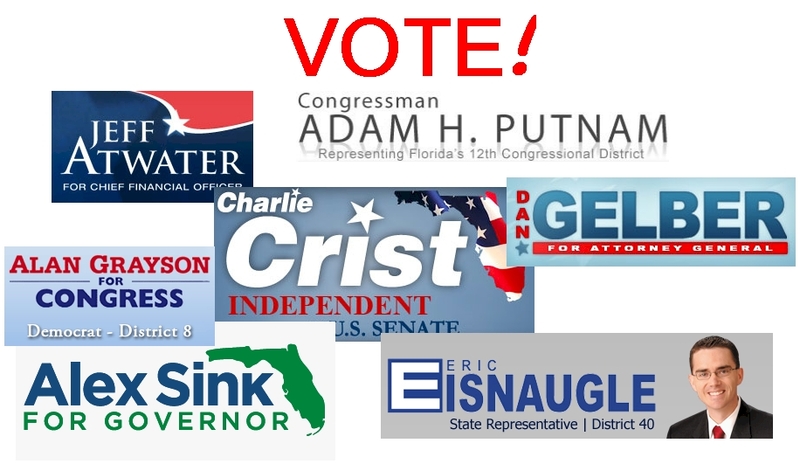 Alan Grayson has proven to be an advocate for Central Florida - Daniel Webster aims to represent a minority. A Republican for Attorney General? 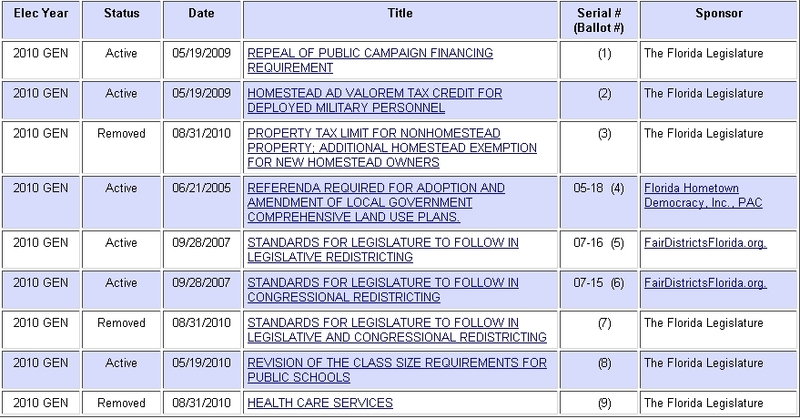 Just look how good Bill McCollum did in office, wasting money for anti-gay experts and lawsuits against "Obamacare." 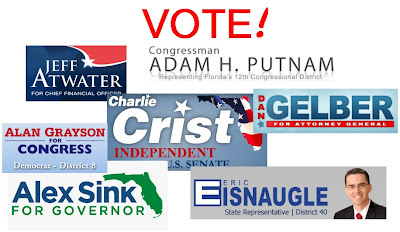 While Adam Putnam may campaign using teabag rhetoric, I felt that he was more qualified for the position and his politics would not negatively impact Florida. I have had experience with Eisnaugle's office and found them to be very helpful. 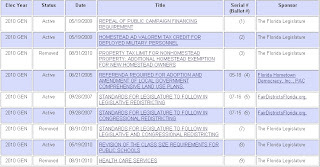 I am supportive of Eisnaugle's accomplishments since he was elected two years ago - I did not vote for him then. Eisnaugle also does not have any of the extreme right wing talking points on his website, which is a good sign - he has proven to be a moderate. Jeff Atwater seems pretty standard for a CFO, but like Eisnaugle, I have not heard anything alarming - my teabag radar did not go off. 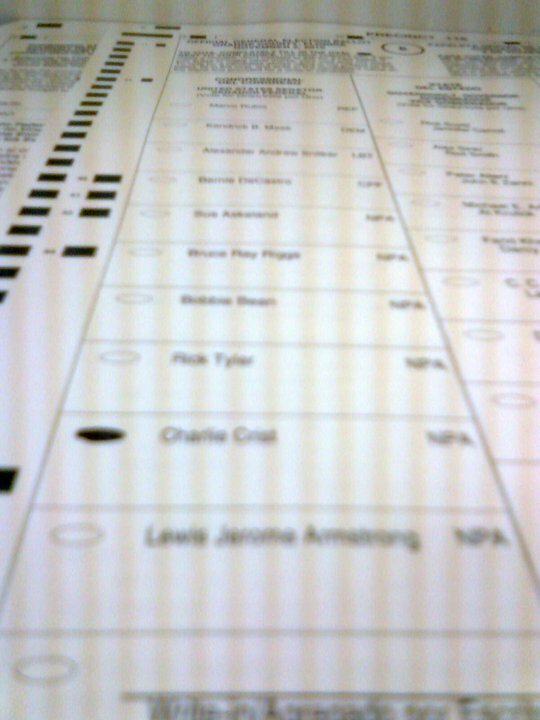 I was conflicted with Amendment 1 but decided to vote for the repeal. Amendment 2 sounds very nice - give deployed military personel an extra tax exemption - but if you consider some of those deployed individuals receive extra money for their deployment, coupled with the fact that their property may be inhabited by a spouse or another individual while they are deployed, this tax break seems unnecessary and will only hurt local governments. 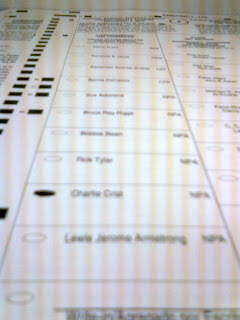 I voted for Amendment 4 because of the rampant growth Florida experienced and the greed municipal officials exhibited by permitting such growth for the promise of increased tax revenues. While many business organizations were against this measure, I thought it was important to reign in expansion - if this ammendment proves to be a bad idea, then I would agree in a repeal. Amendments 5 and 6 were perhaps the most important. Consider the fact that registered Democrats outnumber Republicans but the congressional delegation is two-thirds Republican and the Legislature is overwhelmingly controlled by the GOP - it is time that the state's representation actually represents the population. Amendment 8 is another given - while the original class size amendment sounded fine, limiting class sizes in order to improve the quality of education, it not only placed a tremendous burden on municipal government, it also did not address the real problem with Florida's failing education system. I did not think this amendment went far enough but I believe it is a start. In order to stop the uncontrolled growthof our national debt and prevent excessive borrowing by the Federal Government, which threatens our economy and national security, should the United States Constitution be amended to require a balanced federal budget without raising taxes.